2. The Basilica of the National Shrine of Our Lady Aparecida, Aparecida, Brazil. 3. The Cathedral of Saint Mary of the See, better known as Seville Cathedral, Seville (Andalusia, Spain). 4. The Cathedral of St. John the Divine, officially the Cathedral Church of Saint John: The Great Divine in the City and Diocese of New York, is the cathedral of the Episcopal Diocese of New York. 5. Milan Cathedral is the cathedral church of Milan, Italy. 6. The Basilica of Our Lady of Licheń is a Roman Catholic church located in the village of Licheń Stary near Konin in the Greater Poland Voivodeship in Poland. 7. Liverpool Cathedral is the Church of England Cathedral of the Diocese of Liverpool, built on St James’s Mount in Liverpool and is the seat of the Bishop of Liverpool. The total external length of the building, including the Lady Chapel (dedicated to the Blessed Virgin), is 207 yards (189 m) making it the longest cathedral in the world; its internal length is 160 yards (150 m). With a height of 331 feet (101 m) it is also one of the world’s tallest non-spired church buildings and the third-tallest structure in the city of Liverpool. 8. Ulm Minster is a Lutheran church located in Ulm, Germany. It is the tallest church in the world, and the 4th tallest structure built before the 20th century, with a steeple measuring 161.5 metres (530 ft) and containing 768 steps. 9. The Cathedral of Our Lady is a Roman Catholic cathedral in Antwerp, Belgium. 10. Saint Joseph’s Oratory of Mount Royal is a Roman Catholic minor basilica and national shrine on Westmount Summit in Montreal, Quebec. It is Canada’s largest church. 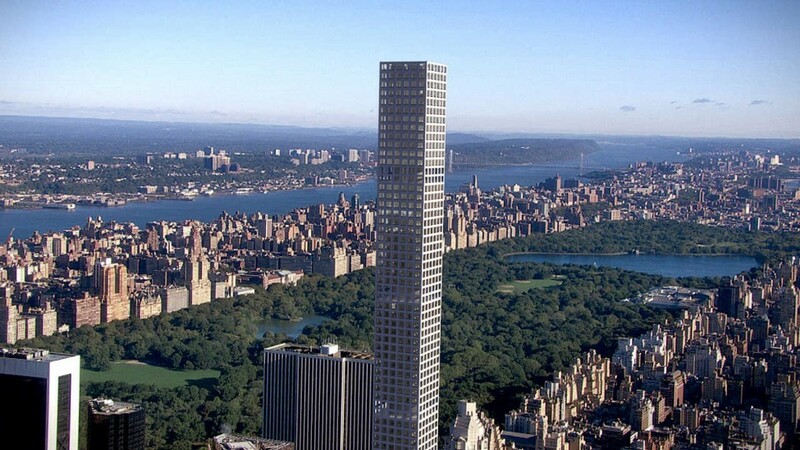 432 Park Avenue is a residential skyscraper in New York City that overlooks Central Park. 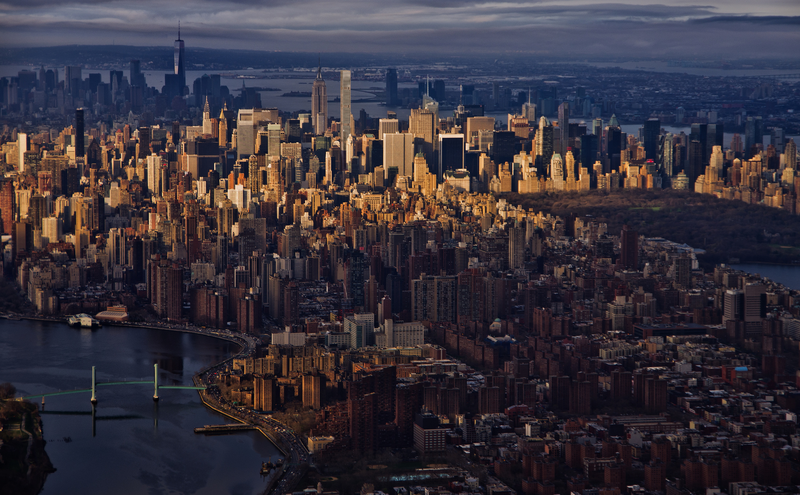 Originally proposed to be 1,300 feet (396.2 meters) in 2011, the structure topped out at 1,396 ft (425.5 m). 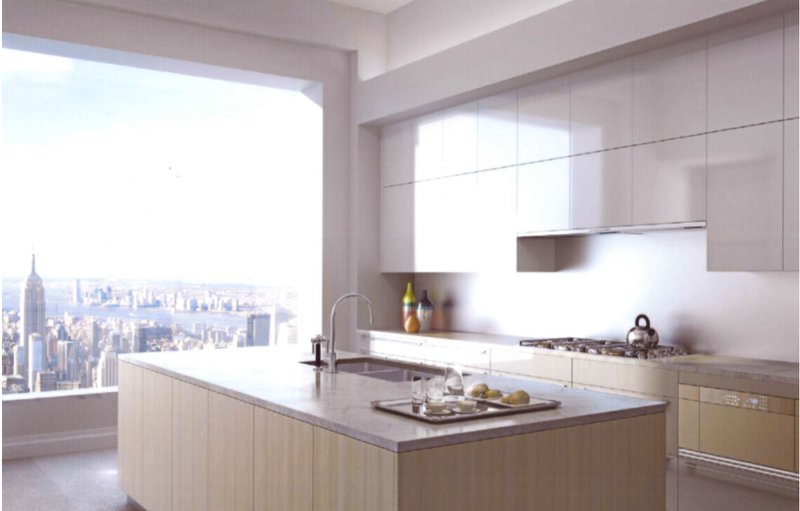 It was developed by CIM Group and features 125 condominium apartments. Construction began in 2012 and was completed on December 23, 2015. The building consists of 89 floors. 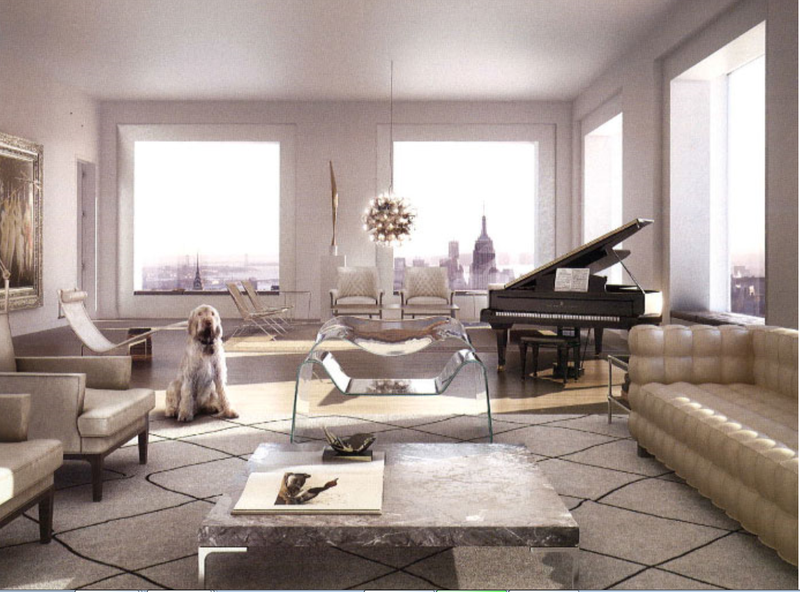 Considering the height of the building, the low floor count is due to the 12 foot high ceilings. 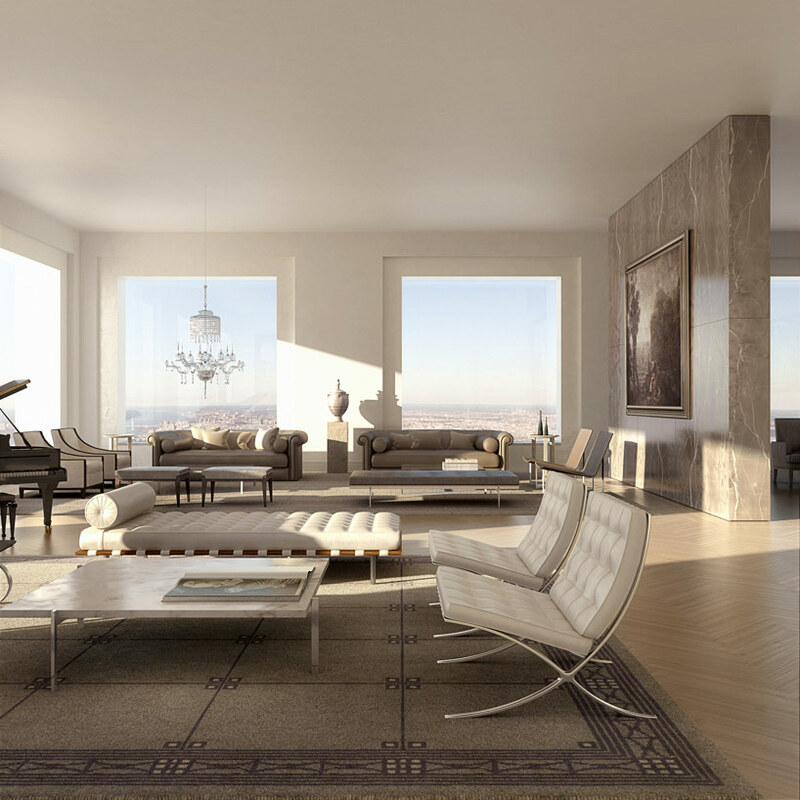 The tower’s condominium units range from a 351-square-foot studio to a six-bedroom, seven-bath penthouse with a library, already under agreement for $95 million. Talk about living in luxury. What the almighty money can’t buy. Stretching for over three miles along the white sandy beach on Germany’s Baltic Sea island of Ruegen, lies the world’s biggest hotel with 10,000 bedrooms all facing the sea. But for 70 years since it was built, no holiday maker has ever stayed there. 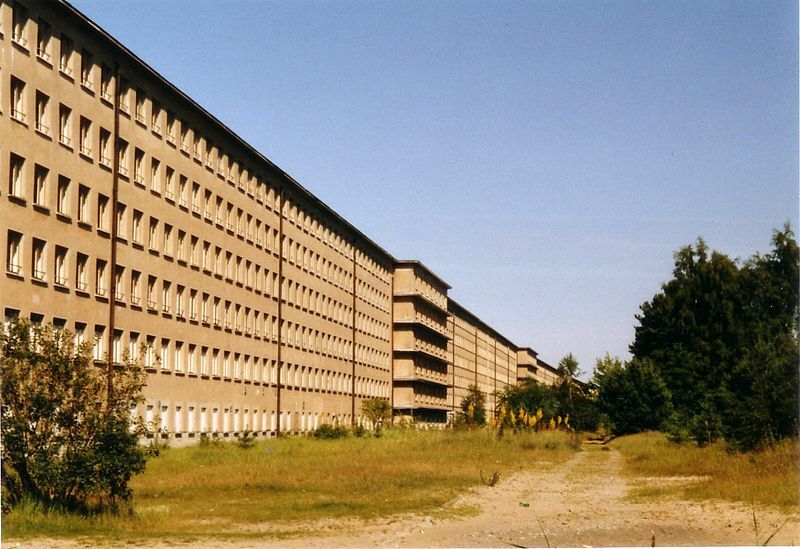 This is hotel Prora, a massive building complex built between 1936 and 1939 by the Nazis as part of their “Strength through Joy” (“Kraft durch Freude,” KdF) programme. The aim was to provide leisure activities for German workers and spread Nazi propaganda. Locals call Prora the Colossus because of its monumental structure. Prora lies on an extensive bay between the Sassnitz and Binz regions, known as the Prorer Wiek, on the narrow heath (the Prora) which separates the lagoon of the Großer Jasmunder Bodden from the Baltic Sea. The complex consist of eight identical buildings that extend over a length of 4.5 kilometres and are roughly 150 metres from the beach. A workforce of 9,000 took three years to build it, starting in 1936, and the Nazis had long-term plans for four identical resorts, all with cinema, festival halls, swimming pools and a jetty where Strength Through Joy cruise ships would dock. Dr. Robert Ley envisaged Prora as a parallel to Butlins – British “holiday camps” designed to provide affordable holidays for the average worker. 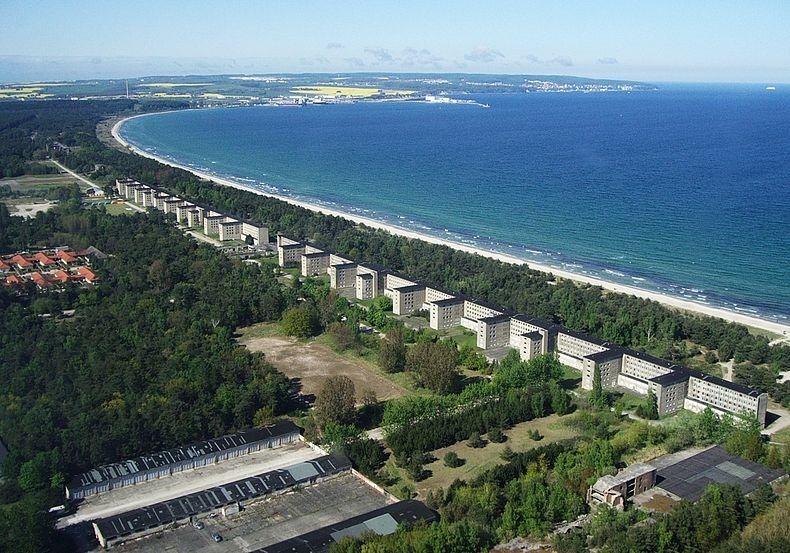 Prora was designed to house 20,000 holidaymakers, under the ideal that every worker deserved a holiday at the beach. Designed by Clemens Klotz (1886–1969), all rooms were planned to overlook the sea, while corridors and sanitation are located on the land side. Each room of 5 by 2.5 metres (16’5″ x 8’3″) was to have two beds, an armoire (wardrobe) and a sink. There were communal toilets and showers and ballrooms on each floor. Hitler’s plans for Prora were much more ambitious. He wanted a gigantic sea resort, the “most mighty and large one to ever have existed”, holding 20,000 beds. In the middle, a massive building was to be erected. At the same time, Hitler wanted it to be convertible into a military hospital in case of war. Hitler insisted that the plans of a massive indoor arena by architect Erich Putlitz be included. Putlitz’s Festival Hall was intended to be able to accommodate all 20,000 guests at the same time. His plans included two wave-swimming pools and a theatre. A large dock for passenger ships was also planned. During the few years that Prora was under construction, all major construction companies of the Reich and nearly 9,000 workers were involved in this project. With the onset of World War II in 1939, building on Prora stopped and the construction workers transferred to the V-Weapons plant at Peenemünde. The eight housing blocks, the theatre and cinema stayed as empty shells, and the swimming pools and festival hall never materialised. During the Allied bombing campaign, many people from Hamburg took refuge in one of the housing blocks, and later refugees from the east of Germany were housed there. By the end of the war, these buildings housed female auxiliary personnel for the Luftwaffe. In 1945 the Soviet Army took control of the region and established a military base at Prora. The Soviet Army’s 2nd Artillery Brigade occupied block 5 of Prora from 1945 to 1955. The Soviet military then stripped all usable materials from the building. In the late 1940s two of the housing blocks – one on the North and one on the South – were demolished and the remains mostly removed. In the late 1950s the East German military rebuilt several of the buildings. Since the buildings had been stripped to the bare brick in the late 1940s, most of the exterior and interior finish that can be seen today was done under East German control. 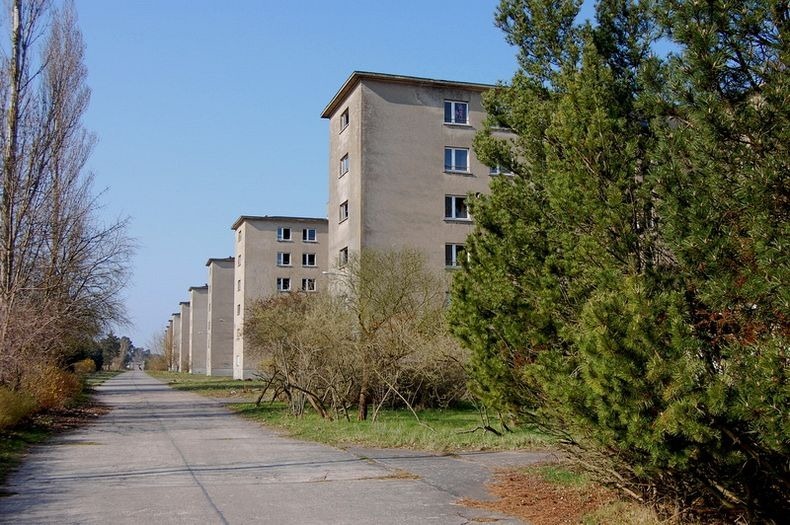 After the formation of the German Democratic Republic’s (GDR’s) National Peoples Army in 1956, the buildings became a restricted military area housing several East German Army units. The most prominent were the elite 40. Fallschirmjägerbataillon Willi Sänger (40th Parachute Battalion “Willi Sänger”) which was housed in block 5 from 1960 to 1982. Block 4 on the north side was used for urban combat training by the Parachute Battalion and others. Large sections remain as ruins to this day. Also housed in the building from 1982 to 1990 was the East German Army Construction Battalion “Mukran”, where conscientious objectors served as noncombatant Construction Soldiers (Bausoldaten) to meet their military service obligation. A part of the building also served as the East German Army’s “Walter Ulbricht” convalescent home. 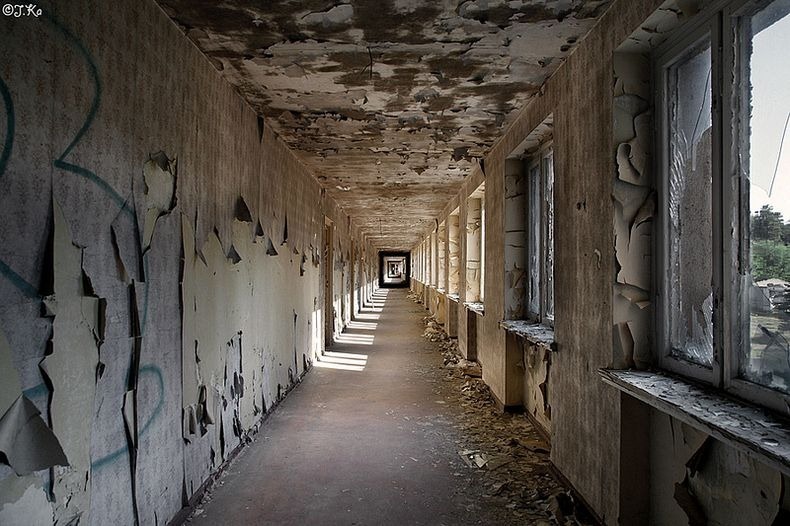 In 2013, a German company, Metropole Marketing, bought the rights to refurbish Prora and market the units as summer homes. By that year, refurbished apartments in the so-called Colossus were on sale for as much as 700,000 euros ($900,000) apiece. The completion date was estimated as 2016. In 2016, the first of the new apartments opened in Block 1. The Prora Solitaire hotel in Block 2 opened in time for summer 2016, and some reconstructed flats were for sale in that Block by mid 2017. At that time, four of the buildings were in the process of redevelopment, a fifth was used as a youth hostel while the remaining three remained in ruins. A November 2017 update indicated that most of the units (flats) in Block 1 had been sold, having been marketed as summer homes for those who live in Hamburg and Berlin. Many were listed by owners as short term rentals on sites such as Airbnb and HomeAway. The Transamerica Pyramid is the second tallest skyscraper in the San Francisco skyline. Its height is surpassed by Salesforce Tower. The building no longer houses the headquarters of the Transamerica Corporation, which moved its U.S. headquarters to Baltimore, Maryland, but it is still associated with the company and is depicted in the company’s logo. Designed by architect William Pereira and built by Hathaway Dinwiddie Construction Company, at 853 ft (260 m), on completion in 1972 it was the eighth tallest building in the world. There are 48 floors, 15 passenger elevators, 3 freight elevators, and 3,678 windows. Because of the shape of the building, the majority of the windows can pivot 360 degrees so they can be washed from the inside. The decorative aluminum spire at the top is 212-feet tall – roughly 20 stories. The spire is actually hollow and lined with a 100-foot steel stairway at a 60 degree angle, followed by two steel ladders. The conference room (with 360 degree views of the city) is located on the 48th floor and can be booked for $400-600 dollars…an hour. The building is covered in crushed white quartz, giving it its pure white color. It takes 18,000 work hours to get “brightened” every 10 years, last occurring in 2007. The building is a tall, four-sided pyramid with two “wings” to accommodate an elevator shaft on the east and a stairwell and a smoke tower on the west. Latin American hordes trying to breach the wall. I think they will be able sneak under this one. 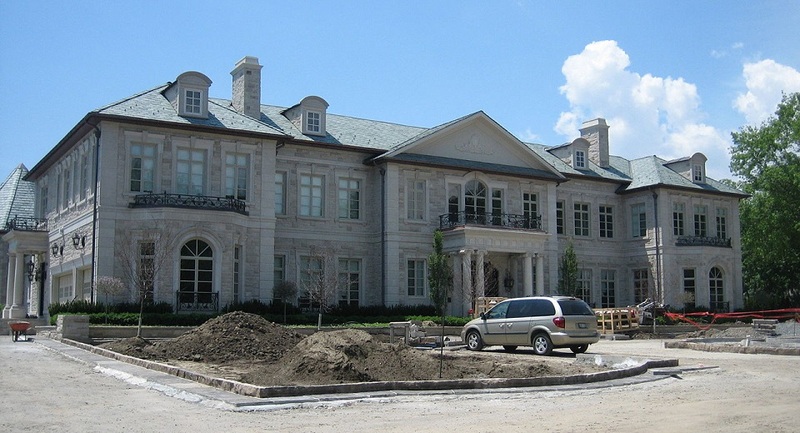 The Bridle Path is an upscale residential neighbourhood in the former city of North York, now part of Toronto, Ontario, Canada, that is characterized by large multi-million dollar mansions and two to four acre (8,000 to 16,000 m²) lot sizes. It is often referred to as “Millionaires’ Row”. 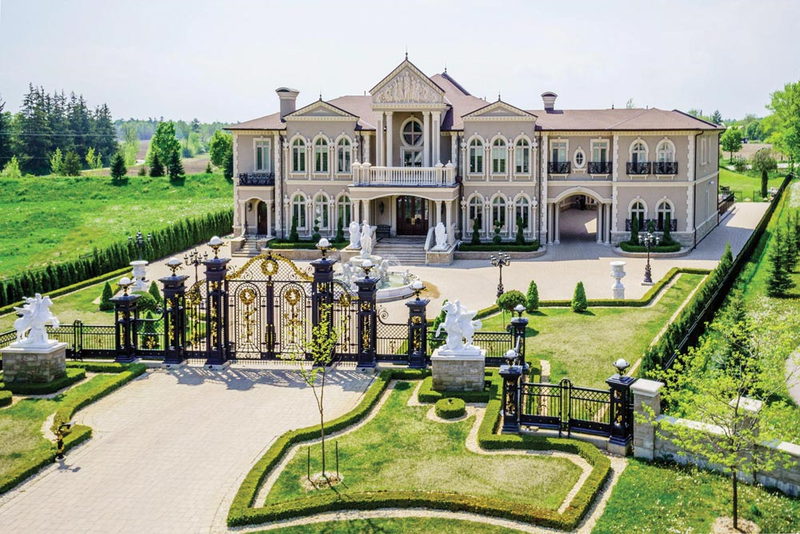 It is the most affluent neighbourhood in Canada with an average household income of $936,137, as well as by property values with an average dwelling value of $2.24M. Although “The Bridle Path” is in fact the name of a road in the area, the term generally applies to the neighbourhood as a whole. It is bounded by The Bridle Path on the north, Sunnybrook Health Sciences Centre on the south, Bayview Avenue on the west and Wilket Creek on the east. Few roads pass through the area, contributing to the area’s exclusivity. 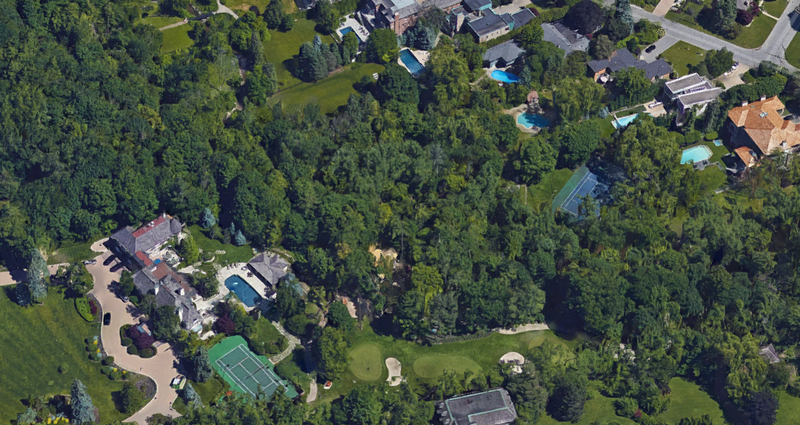 House prices in the Bridle Path are varied, but they are mostly well in excess of a million dollars. 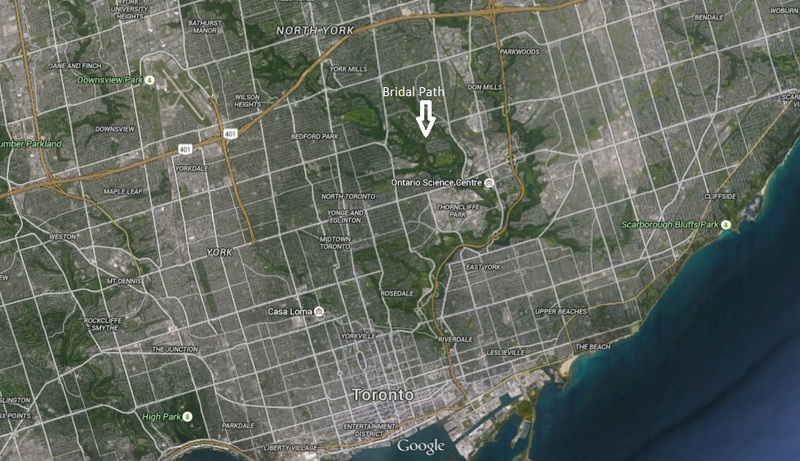 It is a secluded neighbourhood, surrounded by the Don River Valley and lush parklands. 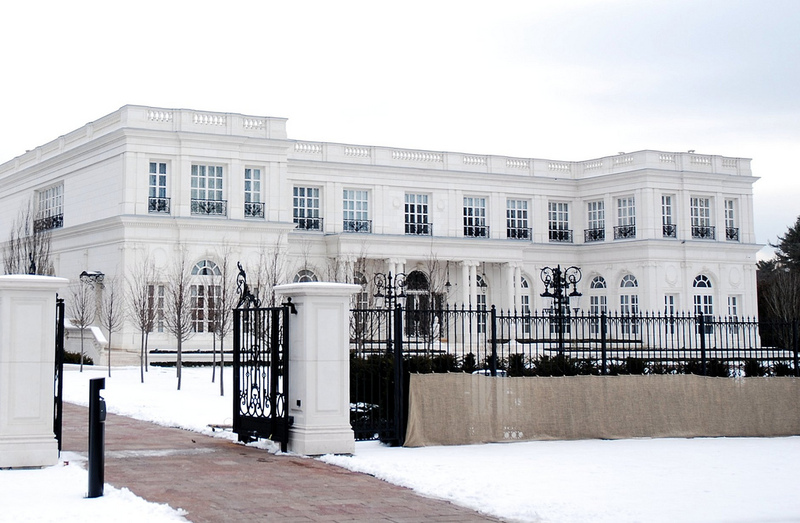 The Bridle Path has been home to prominent Toronto business people, celebrities and doctors. 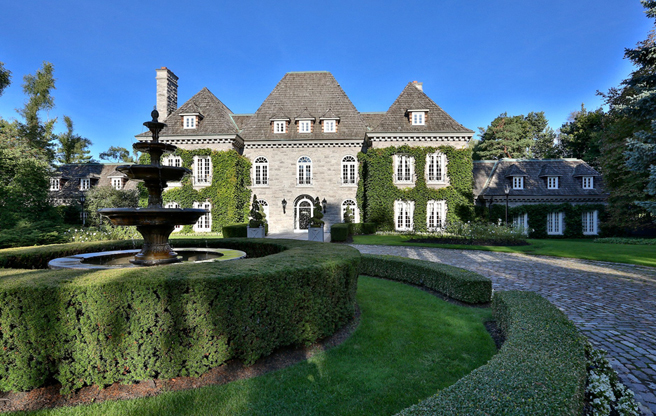 Media mogul Moses Znaimer used to call the Bridle Path home, while computer businessman Robert Herjavec, former newspaper baron and convicted businessman Conrad Black still own homes in the Bridle Path area. “Casino King of Macau” Stanley Ho owns a High Point Road home purchased in 1987 for a record $5.5 million and currently worth C$27 million. There are rooms in these giant houses that the owners won’t even enter for months at a time.